Dopamine imbalances are very common in the United States. 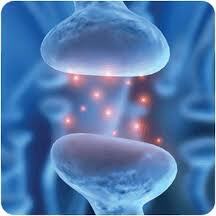 Children and adults suffer from dopamine imbalances which impact ones mood, behavior and overall wellbeing. Stress, trauma, diet, medications and sleep can all make this neurotransmitter ineffective. When our dopamine levels are out of balance, it can cause serious physical and mental challenges—but don’t worry, there are natural ways to balance dopamine. It is very likely that you are not getting enough vitamin D. New research indicates that vitamin D has been grossly underestimated by the medical community. Calculations by researchers at UC San Diego and Creighton University have challenged the intake of vitamin D recommended by the National Academy of Sciences (NAS) and Institute of Medicine (IOM), stating that the doses specified by the IOM are only about one-tenth those needed to cut incidence of diseases related to vitamin D deficiency. Most American’s are not getting enough vitamin D. » Read more..
Serotonin is a popular buzz word but do you really know how important this neurotransmitter is? Sure, it’s the “happy” neurotransmitter but it’s also linked to more than just your mood and depression. It’s estimated that 86% of Americans have sub-optimal neurotransmitter levels. Stress, poor diet, trauma, toxins, genetic predisposition, drugs (prescription and recreational), alcohol and caffeine can cause these levels to be out of optimal range. Serotonin is one of the key neurotransmitters that needs to be balanced in order for your brain and body to run optimally. » Read more..
Scientists say they have identified the underlying reason why some people are prone to depression in the winter months, or Seasonal Affective Disorder (SAD). Difficulty regulating a chemical in the brain, serotonin, may explain why some people suffer from SAD, according to new research. » Read more..
UC San Diego researchers have discovered that ratios of neurotransmitters may be more important than the brain chemicals themselves when treating depression. Two neurotransmitters, Glutamate and GABA which have very different roles are important in depression and how our brains react to bad news. » Read more..
What Are Amino Acids Anyway? All to often, unless your in this industry, we forget about what our 7th grade biology teacher that taught “amino acids are the building blocks of life.” What does that really mean to us as adults? Amino acid imbalances can effect us all. Due to diet, trauma, genetics, fatigue, stress, and GI issues, some of our children are at a neurological disadvantage from the get go, and many adults become at risk do to many of life’s circumstances. A stressful job, athletic training, depression or anxiety, or stress at home can literally hijack your Neurotransmitter levels, which amino acids create. Wouldn’t you like to be able to do something about this naturally? Here are the basics on Amino Acids and how they effect you and your child. Amino acids are the breakdown products of proteins, some of which are not readily available in diet and need to be supplemented in a concentrated form. They are the building blocks of proteins. Proteins play a very important role in maintaining our health and make up a big part of the diet. The three main macronutrients found in food include carbohydrates, fats and proteins. Proteins are required in our diet, as they are an important building block of muscle and brain tissue. Amino acids, derived from protein intake, are precursors to brain chemicals such as serotonin, a natural anti-depressant-like chemical produced in the brain. Without the proper amino acids in our brains can become depleted of these crucial chemicals, otherwise known as neurotransmitters. However, often times we cannot get amino acids from diet alone. Neurotransmitter depletion can be the root cause of many mood and health issues; depression, insomnia, Attention Deficit Disorder, anxiety, memory loss, weight gain and addictive disorders, aggression, and increased sensory sensitivities. There is a long, well documented, history of using amino acids for depression and other issues related to brain chemistry imbalances. Discovered in the early 1900s, amino acids were used up to the late 1980s as the physician’s mainstay for treating these types of conditions. While the advent of pharmaceutical medications all but eliminated this natural treatment option from the allopathic repertoire, amino acids have continued to be a popular option for complementary / alternative medicine modalities and an essential for those seeking natural methods for brain chemistry balancing. Can’t You Get Amino Acids From Food? The amino acid profile of various proteins varies greatly. Foods that contain protein, whether they are vegetarian or animal in origin, contain different combinations of amino acids. While we do need to keep up our overall daily intake of protein in order to maintain our health, proper neurotransmitter balance cannot always be achieved through diet alone. Stress, trauma, ones GI issues, and physical exertion can all play a role. Protein intake increases the level of amino acids circulating around in the blood stream. Once proteins are broken down into amino acids by the digestive system, they are then released into the blood stream. In order for these amino acids to be taken up into the brain, they have to be carried across the blood-brain barrier using a specific transport system. This transport system will not help to correct amino acid imbalances within the brain. For example, if you have become depleted in serotonin because of high stress, dietary deficiencies or other lifestyle factors, the tryptophan uptake will not increase in any capacity across the blood-brain barrier. Amino acid therapy is often used to help address many of the symptoms listed in Table 1. Each neurotransmitter has a specific amino acid, which is required for its synthesis and plays a particular role within the brain and body. Since each of us has a unique neurotransmitter profile, recommended supplements in any program should be specific to your imbalances which are derived through testing, without testing it becomes a “guessing game.” While single amino acids can work to balance the brain, testing for these imbalances is the only way to know for sure what is out of balance. Using this method often requires several different products and should also include mineral cofactors, vitamins and a high quality omega-3 fatty acid. Protocols that are created after your results are received incorporate your individual requirements and provide a program of highly targeted amino acids specific to your imbalances. All of your brain nutrient needs are combined into a few products making it easy and convenient to buy and use. Individual protocols can make the difference when based on proven testing methods. Restoring neurotransmitter levels and achieving your correct balance can change your life. Breakfast: eat a well balanced breakfast that means protein, carbohydrates, and some good fats. Try Greek yogurt with granola, eggs and toast, a protein shake and a handful of nuts. By eating normally in the morning, our blood sugar is more balanced (keeping your mood and hunger in check) you reduce your carbohydrate cravings later in the day, and are less likely to go back for seconds during your turkey feast. Eat Turkey: if you’re a vegetarian, get some protein with your meal (chickpeas, Tofurkey, soy sausage). For a 4 oz serving Turkey has 32 grams of protein. This amount is perfect for keeping your carbohydrate cravings at bay and creating a balanced meal. Snack: Especially for kids, bringing balanced and healthy snacks with you to your get together, or providing them if your hosting, will allow kiddos from crashing mid-day, decreasing meltdowns at mealtime, and making us all a little more balanced. A plate of crackers and cheese can go a long way in maintaining your sanity. Try deviled eggs, veggies and hummus, or a cheese plate. Make sure to get a little protein in. Don’t Skip Desert: If you’re stuffed, grab a piece and save it for later, however, avoiding it, will only lead you to obsess about it, and crave it later on. Most of our bodies and minds are accustomed to tradition, meaning after our feast eating a slice of pumpkin, pecan or apple pie. Try not to fight your cravings, take a smaller slice or save it for after the dishes. Veggies: In an ideal world, we would have 1/3 of our plate full of salad, steamed green beans, or squash, however most thanksgiving plates look anything but balanced. Try your best to get some greens on your plate. The nutrients speak for themselves, and the fiber will fill you up before you go back for seconds. Be Mindful and Grateful: Think about what you are eating and enjoy each bite. When you are rushing through a meal or focused on a fussy baby, you are more likely to eat in a hurry and not enjoy the process. Thanksgiving is about giving thanks, come up with a list of things in your life that you are grateful for, this can be personal. Encourage your children to do the same. When we sit down our family meal with the gratitude in mind, we are more apt to enjoy our surroundings, even if that means nagging in-laws and holiday stress. What are you thankful for? Let us know your holiday tips below and have a safe and happy holiday! It is estimated that 25 percent of the American population will experience depression at some point in their lives. What we do know is that depression is treatable, and a variety approaches have been proven effective for reducing and overcoming symptoms. Many consumers and those who suffer from depression symptoms are under the impression that medication is the only option. This is not the case. A study funded by the National Institute of Mental Health and GlaxoSmithKline (a pharmaceutical corporation), indicates that cognitive therapy is at least as effective as medication for long-term treatment of severe depression, and it is less expensive. This is not to say that medication is not effective, but rather that there are often options, such as talk therapy, that are overlooked by the average consumer. We are told by commercials, friends, and even our physicians that depression can be treated with medications, but there are other options. As a group, they were very interested in learning about using natural supplements as a way to treat their patients. You have to understand that in most traditional psychiatry programs in the U.S., the use of natural supplements as a treatment option is NOT part of the curriculum. Most psychiatrists get absolutely NO training in this. St. John’s wort, SAMe, and sage have A level evidence that they help with depression. 5-HTP, omega-3s, saffron, and DHEA have B level evidence that they reduce symptoms of depression. St. John’s wort, 5-HTP, and inositol have B level evidence that they calm anxiety. 5-HTP has B level evidence that it helps with weight loss. Ginkgo biloba and sage have A level evidence that they enhance memory. Huperzine A, vinpocetine, acetyl-l-carnitine, phosphatidylserine, and omega-3s have B level evidence that they boost memory. Melatonin has A level evidence that it improves sleep. What has been confirmed by the scientific community is that most forms of depression can be traced to imbalances in neurotransmitter levels, more specifically Serotonin levels. These levels can be depleted through genetics, or environmental triggers (stress, trauma, and lifestyle). Serotonin is one of the primary inhibitory (calming) neurotransmitters in the central nervous system. Serotonin plays a role in so many areas of the body, and is one of the first neurotransmitters to become depleted. It is involved in balancing mood, apatite, sugar and carbohydrate cravings (due to low Serotonin levels), sleep cycle regulation, pain receptors (including headaches and muscle pain), and many more. When looking for alternative options to treating depression, testing ones brain chemistry is extremely important in identifying the neurotransmitters that are out of balance, and is another option for treating depression. For more information on neurotransmitter testing and depression Click Here. *If you or someone you know is suffering from depression please contact your practitioner immediately. 5 HTP Liposomal Liquid is here! Neurogistics has the only twice tested liposomal delivery system 5HTP. This superior form of 5HTP allows for quick absorption with a sweet taste. The dosage of this very absorbable form of 5HTP is lower since the absorption rate is higher. 5-HTP is the amino acid intermediate to the mood regulating neurotransmitter serotonin. 5-HTP crosses the blood brain barrier converting into serotonin in serotonin producing nerve cells. Besides benefiting mood, supporting serotonin levels can also help fight sugar and carbohydrate cravings and improve sleep quality by converting into melatonin. Melatonin is a hormone that regulates the sleep/wake cycle.